Osteoporosis, otherwise called “brittle bone disease”, is one of the major health issues for 68 percent of all American Women, and affects approximately 48 million in the United States. One out of every two women, and one in four men who are more than 50 years old, will suffer from an osteoporosis caused fracture at some point in their lives. 80,000 men each year have hip fractures—one third of those will die within one year from the time that their fracture occurred. More than 1.5 million fractures each year are attributed to Osteoporosis: of these 300,000 are hip fractures, 700,000 vertebral fractures, 250,000 wrist fractures, and the remaining 300,000 fractures happen at other places in the body. The estimated cost of osteoporosis from data obtained from nursing homes and hospital figures show that the United States as a nation spends more than $14 billion dollars a year on osteoporosis and related fractures. Osteoporosis refers to a situation in which your bones become weaker and more susceptible to fracture and have lower bone density than what would be a healthy level. By definition, the word osteoporosis means “porous bones”. The deterioration of bone tissues means that calcium is also reduced, and when calcium is lost from bone, the actual bone tissue may appear as if it has holes in it, almost as if looking at a piece of Swiss Cheese. Osteoporosis is known as a “silent disease” because there are generally no symptoms until you begin fracturing bones, often times from either a minor accident, or something so benign as in the simple act of sneezing. Once bone deterioration has already occurred you can have back pain, a stooped posture, and what’s referred to as a Dowager’s hump. One of the reasons that osteoporosis is more common in women than in men is because menopause means that lower levels of estrogen are available to the body. 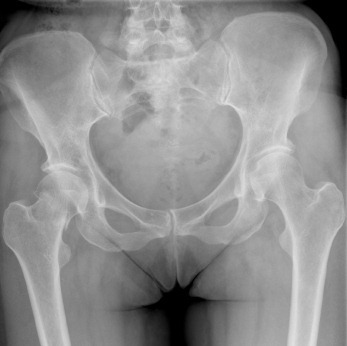 This decline in estrogen can cause rapid bone loss. For men, as they age they will often time suffer from low testosterone levels. Because testosterone is converted into estrogen, then in men, the loss of testosterone can also equate to a higher probability of bone loss. In men and women there are certain medications, and dietary habits that can increase the risk of bone loss and osteoporosis. Smoking – makes bones brittleMany people mistakenly think that osteoporosis is a an elderly person’s disease. This is not correct. The early stages of osteoporosis may actually begin in early childhood and adolescent years, during the time when one’s peak bone mass should be occurring. 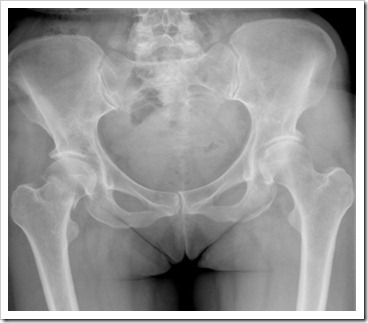 Osteoporosis Risk Factors: Other Risk Factors: Who’s at Risk for Osteoporosis? Family History: Heredity plays a part in osteoporosis. If your parents have a history of fractures, you may be at risk for a familial tendency to have lower bone mass, thus increasing your risk of fractures. Studies have shown that a dysfunctional immune system can contribute to the development of osteoporosis. So keeping your immune system healthy is an important step towards building stronger bones. In an upcoming segment, we’ll discuss treatments for osteoporosis, what vitamins and minerals are important for bone health, and why you should not take prescription medications for osteoporosis without knowing the facts and warnings that have recently become known about the dangers of some osteoporosis type medications.